Enjoy a picnic hamper this summer! This entry was posted on June 20, 2017 by Nick. There’s no better way of enjoying the sunshine this summer than with a wonderful picnic hamper from Hamper.com! Our specialists have created a fantastic collection of picnic gift baskets that are filled with delicious treats that the whole family can share and enjoy together. Every luxury hamper that we have available are eligible for free UK next day delivery when ordered before 2pm! Hamper.com has a fantastic collection of hampers that are suitable for all occasions. With summer just around the corner, explore our range of luxury picnic hampers today! 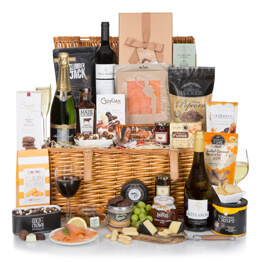 This fantastic hamper is perfect for enjoying with friends and family over the summer months. Applewood’s smoked cheddar cheese and a selection of nuts and nibbles are accompanied by four cans of Thatcher’s Gold Somerset cider, a fantastic way of cooling off on a hot summer’s day! 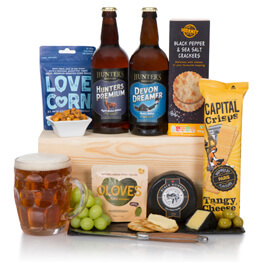 If you love a refreshing cider, then you’ll love the Cider & Cheese Summer Hamper! The crisps, cheese, breadsticks, olives and rice crackers in this wonderful hamper are perfect for sharing with loved ones on a picnic or at a BBQ. Cool off with two bottles of real ales from Hunters Brewery in Devonshire and enjoy this fantastic combination of tastes and flavours. 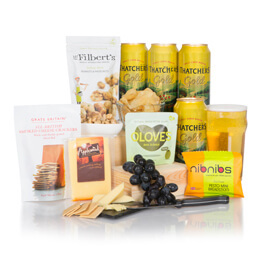 As with all the picnic hampers, enjoy free UK next day delivery on the Craft Beer, Cheese & Snacks. Presented in a traditional wicker basket, this hamper is filled with gourmet foods from the finest suppliers. 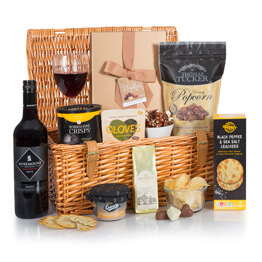 From creamy Welsh cheese to Snowdonia Cheese Co Black Bomber cheese, this hamper has something to suit all tastes. These delicious items are accompanied perfectly by a bottle of Italian Prosecco, perfect if you happen to be celebrating a special occasion in the sun! 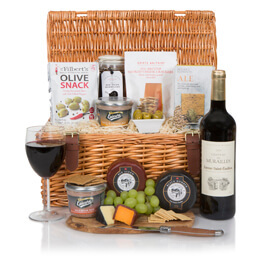 Treat your friends and family with the wonderful Gourmet Choice Hamper. The ultimate picnic hamper! 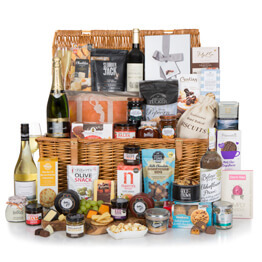 Bursting with summer treats and delicacies, this incredible hamper is presented in a traditional wicker basket which can be utilised and reused once all the food and drink has been enjoyed! Smoked meats, smoked fish indulgent cheeses, crackers, biscuits, nuts, chocolates, preserves, the list goes on! 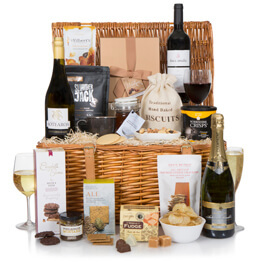 Accompanied perfectly by Champagne and two bottles of wine, you’ll love The Regency Hamper! 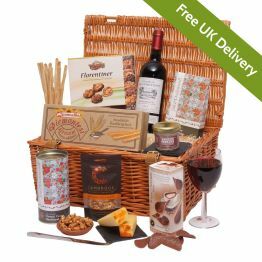 Receive free UK next day delivery on the full range of gift hampers available from Hamper.com, including our traditional picnic hampers. 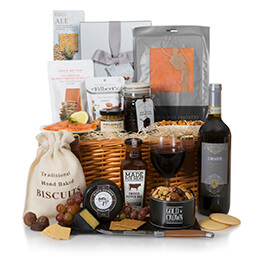 If you live further afield, then browse our collection of hampers available in countries around the world, such as Australia and the USA. Discover the full list of international destinations that we deliver to by finding out more about our worldwide delivery service.